Published December 10th 2013 by Cedar Fort, Inc.
Gluten-free, healthy and delicious? Yes, it is possible! Use Jillayne Clements’s unique whole foods approach to baking to create Buttermilk Biscuits, Honey Oat Bread, Potato Rolls, German Chocolate Cake, and more! This book blends taste and satisfying nutrition into mouthwatering gluten-free recipes your whole family will enjoy. Bake your way to better health today! Normally gluten-free foods just turn my taste-buds and my stomach. They're bland, at best, and have a nasty after-taste or just yucky taste all around, at worst. At least that has been my experience so far. 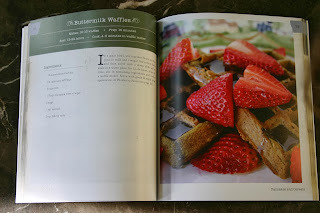 I loved how this cookbook opens up with several sections to make these foods taste much better than what you would expect, if not great. She lists what specific ingredients work best, what ingredients are a staple for her, and then goes on to explain how to prep ingredients so that the end result is delicious. This last section, "The How-tos Step by Step," was my favorite and I felt was the most resourceful because with that knowledge you can basically turn any gluten-free baking recipe into something more than edible. Seriously, I would have never thought of sprouting and souring grains and then using them as my flour. It's easy to do, but does take some time and planning. 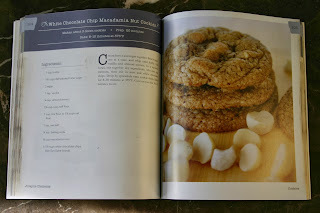 Moving on to some of these recipes. For one thing, they look and sound fabulous. Feel like baking up some Dutch Oven Apple German Pancakes while you're out camping or outside when it's hot and you don't want to turn on your oven? Or, how about some French Bread to eat with your dinner tonight? Are you in the mood for something more delectable? Maybe try the Chocolate Ice Cream Cake or German Chocolate Cake. Maybe you want to draw some comfort from some home-made Cinnamon Rolls. 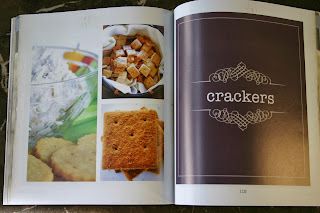 There's even a few recipes for crackers, sauces, and soups. Now, don't expect to taste wheat, because these recipes don't use it, but maybe you'll find a flour you like even better. 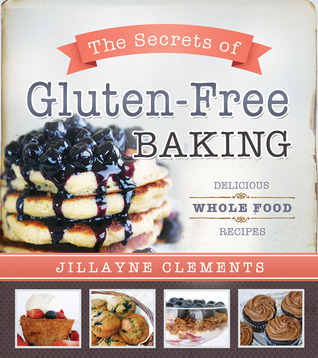 If you're looking for a gluten-free cookbook, or want to know how to make substitute flours for baking, The Secrets of Gluten-Free Baking is the perfect cookbook to grab. I highly recommend it! *Pictures taken from the author's blog. Jillayne Clements holds a Bachelor’s degree in Family and Human Development from Utah State University and is an author of both fiction and non-fiction books, including Deadly Treasure: A Novel, The Diet Rebel’s Cookbook: Eating Clean and Green, co-authored with Michelle Stewart, as well as an upcoming novel. After being diagnosed with Hashimoto’s Thyroiditis, she studied the importance of whole foods cooking and began creating her own recipes. She has taught classes in her community and at the Young Living Farm, including their yearly Lavender Days events, as well as catered for some of their essential oil conventions. She has also made whole foods desserts on both Good Things Utah and on Studio 5. Jillayne resides with her husband and children in the shadows of Mt. Nebo, where she enjoys writing fiction, four-wheeling up mountain trails, and growing a lot of her own produce. I'd use it for party baking since I've many gluten tolerant friends. This looks like a really sweet read. Thanks for sharing the excerpt and giveaway! I'll be reading this one soon and am looking forward to it! I did enjoy A Dangreous Madness even though its got quite a bit of innuendo. Winter Queen's cover is gorgeous. I know plenty of people who did like it, so you might feel differently. Do we ever need this. My daughter is on a strict Gluten Free diet for her health. I'd be a hero!! I'm glad you do. I haven't had a chance to read it, but all the reviews were positive. This is a great resource. I'll be reviewing another gluten-free cookbook that has a ton of recipes in a few weeks, so you'll have to check out that one too. This sounds super cute! I have known quite a few people that have met their spouse online. I would use it because I am on a primarily lo carb gluten free diet. Isn't that amazing?!! Thanks for sharing! This looks like a very helpful book. I know a few people who can't have gluten, so will be awesome for them! This looks really cute. I like the cover too! I do too. I'll be reading this one in September, so I'm looking forward to it! Yes, I would probably use it a lot, because I often cook gluten free.